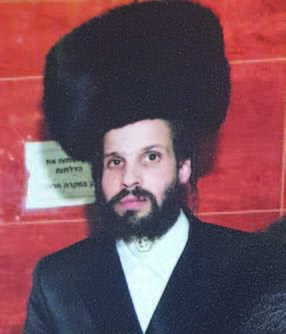 The Gerrer community mourned the tragic loss of Reb Yisrael Baum, z”l, the son of, lhbch”l, Harav Eliezer Baum, who passed away after an illness, at the age of 37 on Thursday, 6 Nissan. Reb Yisrael was the son of Rav Lazer Baum, the Menahel of Yeshivah Yagdil Torah in New York. At a young age, he was recognized for his yiras Shamayim and avodas Hashem. When he was but nine years old, he was stricken with a serious illness, and with rachmei Shomayim he recovered. He began his aliyah in Torah in the Gerrer Mesivta in Brooklyn and continued afterwards in Yeshivas Bais Yisrael in Ashdod. Although he experienced many health issues, his main concern was how to fulfill the halachic concerns with his care. In 5762/2002, he married, tblch”t, the daughter of Harav Mattisyahu Weinberg of Yerushalayim, a Rosh Kollel in Slanim, who devotedly cared for him in his times of illness. Over the last year, Reb Yisrael was hospitalized many times, and was niftar on Thursday morning at home, with a minyan around his bed. The levayah was Thursday afternoon, attended by many family, friends and acquaintances, mourning the loss of a talmid chacham, who did his utmost despite the many yissurim he suffered throughout his life. The speakers at the Shamgar funeral parlor were: his father-in-law Harav Weinberg, a cousin and close friend Reb Yisrael Enden; brother-in-law Reb Shimon Brichta; Harav Avraham Yehoshua Lazenga; and the bereaved father, Harav Baum. The levayah passed the Gerrer beis medrash, where a large crowd waited together with the Gerrer Rebbe, shlita, and continued from there to Har Hamenuchos, where he was buried near his grandfather Harav Shmuel Yaakov Traube, z”l. The niftar did not leave over children, and the family asks that people learn Mishnayos l’illui nishmas Reb Yisrael ben Reb Eliezer.